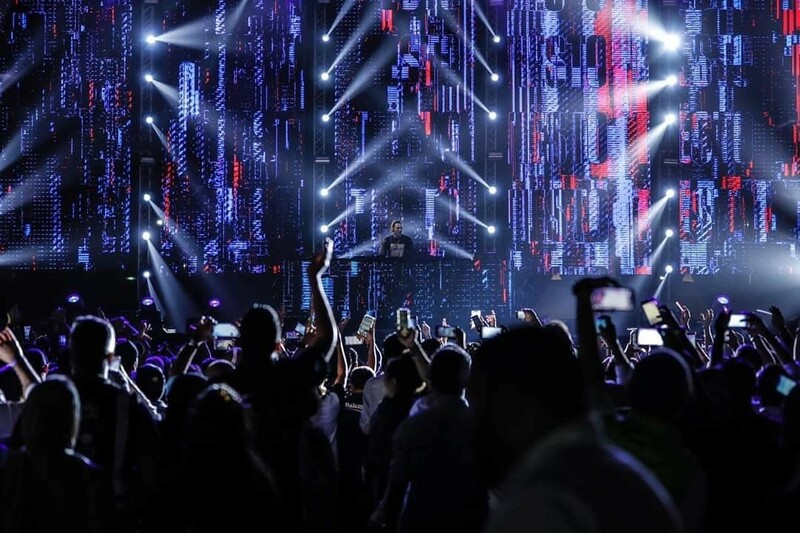 SLS Production recently delivered Saudi National Day for 360 Productions, utilising the biggest L Acoustic K1 sounds system and largest roof structure Saudi Arabia has ever seen, in addition to the lighting rig and truss that formed the roof of the stage for Jean-Michel Jarre’s Green Concert in Riyadh. The stage for the free-to-attend concert was the biggest to ever be set up in Saudi Arabia. 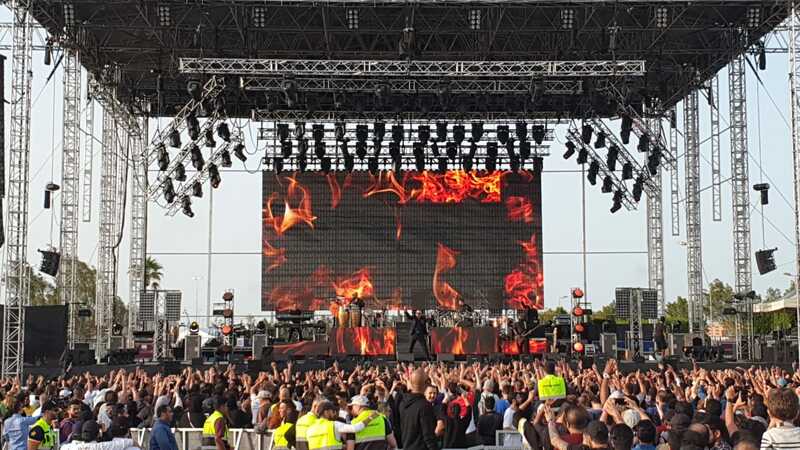 ‘SLS have made some substantial investments in audio over the last few months and a lot of new kit was utilised on this event,’ said Dan Dignan, head of audio at SLS Production. The L-Acoustics setup comprised 40 K1 and 36 K2 cabinets with 14 Kara enclosures and 30 KS28 subs. 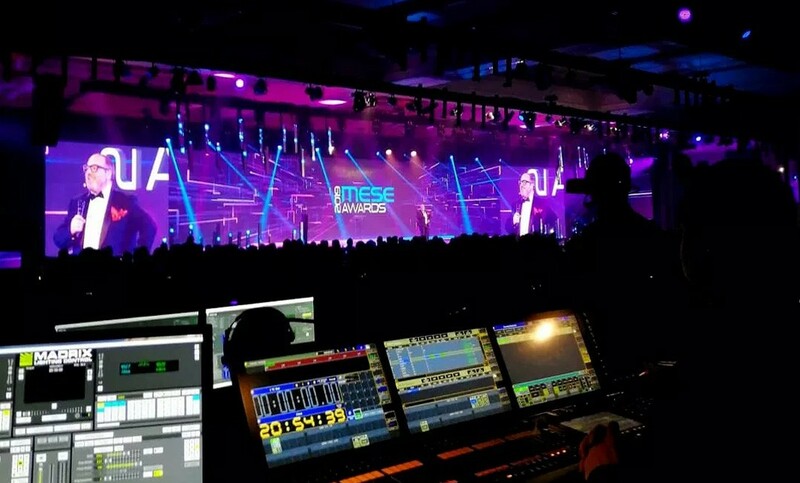 The loudspeakers were powered by LA12x amplified controllers, while control and distribution were taken care of by SLS Production’s inventory of Meyer Sound Galileo Galaxy 816 processors along with the company’s recently purchased Luminex GigaCore 10 Gigabit switch. The amplifiers received AVB (audio video bridging) and an analog back-up for redundancy, while all control racks were supported by SLS’s new stock of Furman F1500 UPS battery packs. I’ve never run an L-Acoustics system on AVB, but with the Galaxy processors there and the amps all being LA12x, it seemed like the way to go. Running redundancy appeased my worry, and it was solid,’ Mr. Dignan noted. SLS also supplied the wireless intercom system for the crew in the form of Clear-Com’s FreeSpeak II. Away from the audio setup, the biggest challenges faced by the SLS team came in ensuring the equipment needed for the stage and lighting could be supplied. The kit was flown in from Dubai and Europe for the event.